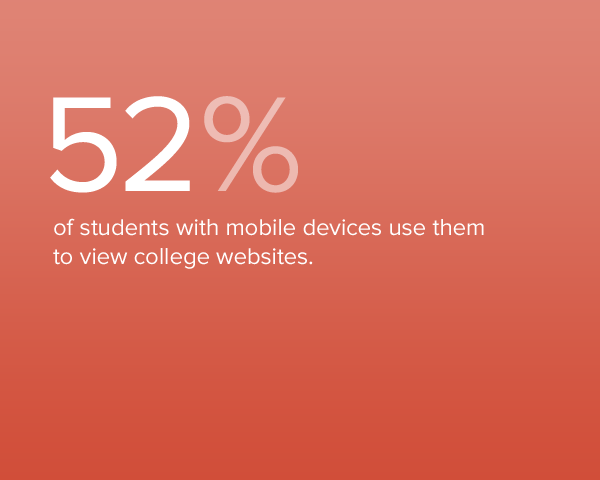 Your website is central to inbound marketing and research tells us that a majority of high school students are accessing college websites via some kind of mobile device. It’s a number that’ll only grow. If you’re considering a website redesign, responsive design is a great way to meet the needs of both desktop/laptop and mobile users. However, if you aren’t ready to redesign your website completely, you should look for interim steps that will start meeting the needs of mobile users right away. Educate yourself about responsive design and track the progress of responsive designs in higher education. Think about all audience needs before you decide how to move forward.